The Mean Value Theorem for Integrals guarantees that for every definite integral, a rectangle with the same area and width exists. Moreover, if you superimpose this rectangle on the definite integral, the top of the rectangle intersects the function. This rectangle, by the way, is called the mean-value rectangle for that definite integral. 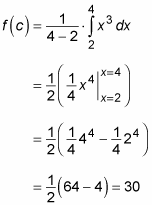 Its existence allows you to calculate the average value of the definite integral. 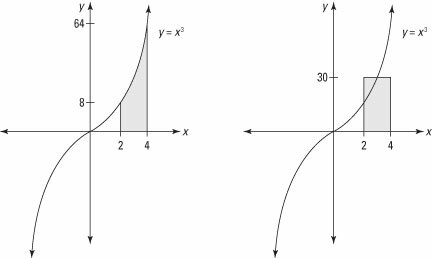 Calculus boasts two Mean Value Theorems — one for derivatives and one for integrals. Here, you will look at the Mean Value Theorem for Integrals. You can find out about the Mean Value Theorem for Derivatives in Calculus For Dummies by Mark Ryan (Wiley). A definite integral and its mean-value rectangle have the same width and area. so the top of this rectangle intersects the original function. The fact that the top of the mean-value rectangle intersects the function is mostly a matter of common sense. After all, the height of this rectangle represents the average value that the function attains over a given interval. This value must fall someplace between the function’s maximum and minimum values on that interval. In other words, start with a definite integral that expresses an area, and then draw a rectangle of equal area with the same width (b – a). The height of that rectangle — f(c) — is such that its top edge intersects the function where x = c.
Not surprisingly, the average value of this integral is 30, a value between the function’s minimum of 8 and its maximum of 64.